My branch of the Kramer family is descended from Yosef Kramer's son, Gabriel, and his wife Hannah. Our branch includes the descendants of his children: Meyer Kramer, Barnet (Barney) Kramer and Esther Kramer Kravitz. My grandfather, Meyer Kramer, (Meyer Kramer's Ellis Island Record), was born on February 15, 1893 in Dalhinev where he witnessed a tragedy during his childhood. His father, Gabriel, had, most likely, committed suicide. It was Meyer who discovered his father who had possibly hung himself. That is probably why the children left Europe -- to get away from his death. Meyer Kramer arrived at Ellis Island on December 02, 1913. He was 21 years old. He arrived on the ship, The Nieuw Amsterdam, that had departed from Rotterdam. His marital status was listed as single and his place of residence was listed as "Dolhynew, Russia." He was with his brother, Barnet (Barney) and his sister, Esther. Meyer was the youngest child in his family. He had two other sisters who remained in Dalhinev. They were reported as killed during World War II. I believe that these are the two young women in the picture on the previous page. 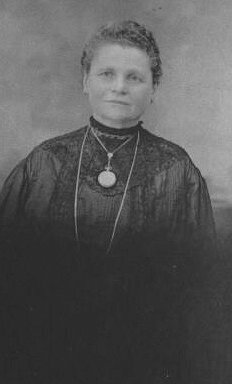 Aunt Gruna came to the United States ten years earlier than Meyer and his siblings. The Kramer family already had some Lurier relatives who were already living in the US. Lazar Ruben Kramer's wife was a Lurier so that was probably the family connection. Aunt Gruna arrived this country at Ellis Island in 1910. Her Ellis Island record indicates that she was 50 years old and from Dalhinev. At that time, her children would have been adults. She had at least five children. In order of birth they were: Joseph (Joe), Ida, Nathan, Abraham, and Harry. I knew her grandson, cousin Joe Rubin, whose father was her son, Nathan. Joe ran a record store in downtown Waterbury for many years. According to Joe, his grandmother was born in 1850 is Dalhinev. Gruna and her family lived in Brooklyn all of their lives. 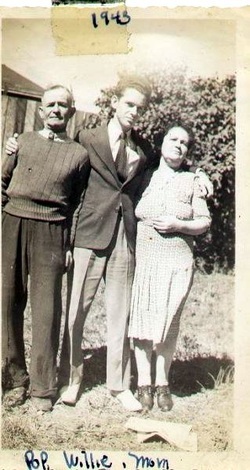 Joe Rubin said that his grandmother used to drive up from New York and always visit their Shapiro Aunts Tzeva and Dora in Waterbury, Connecticut. Muna Gruni Rubin is still remembered by many family member from Waterbury. Aunt Gruna must have made an impression on my father since he named my brother, Jeff, after her. My Aunt Marilyn and Aunt Rose said that she was “a lovely, beautiful woman who was one of the mainstays of the Kramer family.” She died in 1938 when she was 88 years old and she is buried in Washington Cemetery in Brooklyn.